Click to enlarge and download infographic. 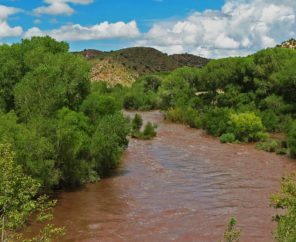 Communities in the United States are being threatened by sewage overflows, flooding, polluted stormwater, leaky pipes, and at-risk water supplies. 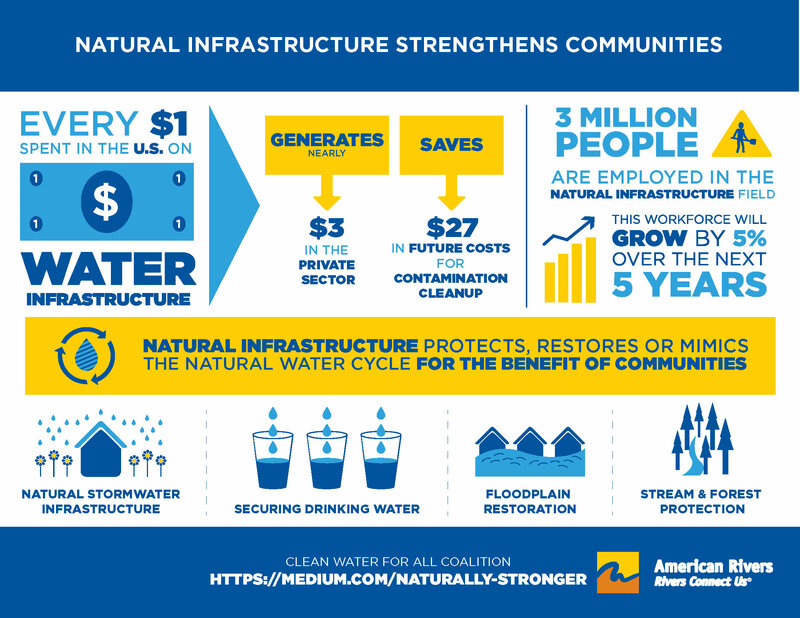 These threats are a result of our nation’s outdated water infrastructure and water management strategies, and their impacts fall disproportionately on low-wealth neighborhoods and communities of color that are already suffering from a lack of investment and opportunity. 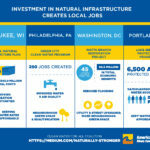 To solve this problem, we do not just need more investment in water infrastructure. 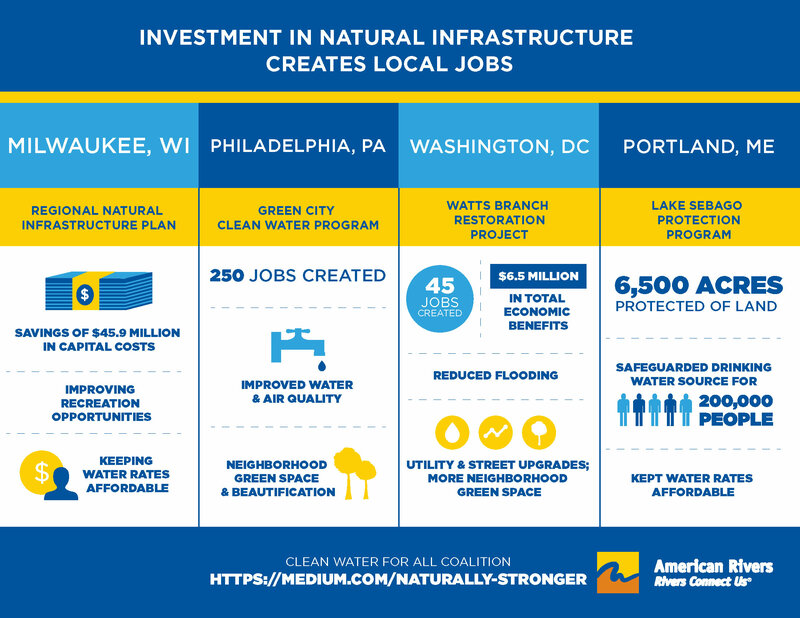 We need a new kind of water infrastructure and management, and we need it in the right places. 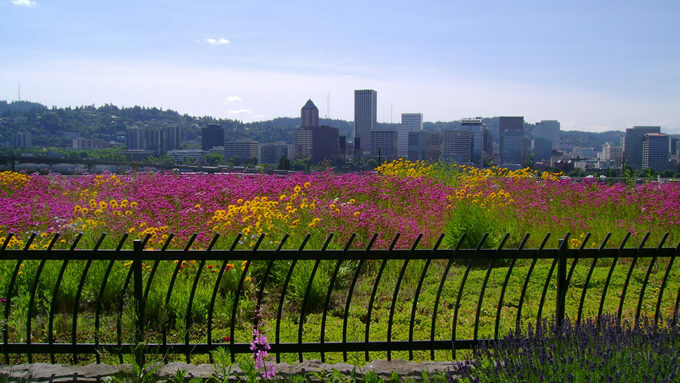 The solution is the equitable investment in and implementation of natural infrastructure. 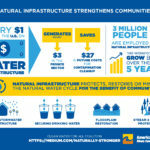 Naturally Stronger makes the case that if natural infrastructure is used in a more integrated water system, we can transform and restore our environment, invigorate the economy, and confront some of our country’s most persistent inequities.